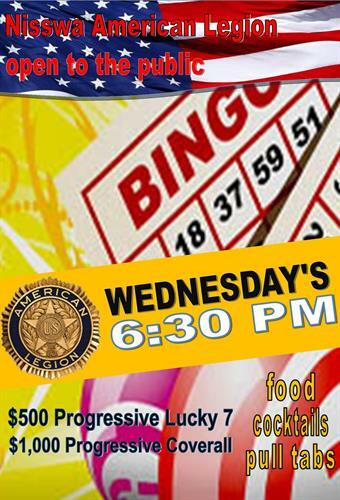 Join us at 6:30pm on Wednesday nights for Progressive Coverall Bingo! 15 games including $1,000 Progressive Coverall and $500 Progressive Lucky 7!! Open to the Public!